The European Commission has found that Gibraltar gave around €100m worth of illegal tax advantages to multinational companies. It has now been ordered by the EU to recoup those tax-breaks. Gibraltar's corporate tax exemption regime for interest and royalties between 2011 and 2013 was deemed illegal under EU state aid rules after a five-year probe . "Our investigation has found that Gibraltar gave unfair and selective tax benefits to several multinational companies, through a corporate tax exemption scheme and through five tax rulings. This preferential tax treatment is illegal under EU State aid rules and Gibraltar must now recover the unpaid taxes. "At the same time, I very much welcome the significant actions taken by Gibraltar to remove the illegal tax exemptions, streamline its tax ruling practice, and reinforce its transfer pricing rules - this should help ensure that these issues remain in the past," Commissioner Margrethe Vestager, in charge of competition policy, said in a statement. "Our investigation has found that Gibraltar gave unfair and selective tax benefits to several multinational companies, through a corporate tax exemption scheme and through five tax rulings. This preferential tax treatment is illegal under EU State aid rules and Gibraltar must now recover the unpaid taxes. The Gibraltar government now has to issue retrospective tax bills of €100m to the multinational groups that benefited from its former policy, which has since been abolished. The companies mentioned by the EU are: Ash (Gibraltar) One Ltd, Ash (Gibraltar) Two Ltd, Heidrick & Struggles (Gibraltar) Holdings Ltd, Heidrick & Struggles (Gibraltar) Ltd, and MJN Holdings (Gibraltar) Ltd. The exemption mainly applied to interest received on intra-group loans, and royalty income from licensing out intellectual property. It came under Commission scrutiny in October 2013, along with investigations of several other jurisdictions, including Belgium, Ireland, Luxembourg and the Netherlands, accused of granting generous tax concessions to multinational firms to tempt them to set up local operations. The Commission regards such selective incentives as unfair state aid, and thus contrary to EU rules on free competition. It has already ordered Ireland to recover €14bn of "state aid" from Apple. Gibraltar's territorial tax system requires companies to pay corporate taxes on income accrued in, or derived from, Gibraltar. However, the Commission found that companies in receipt of interests or royalties were exempted from taxation in Gibraltar without a valid justification. 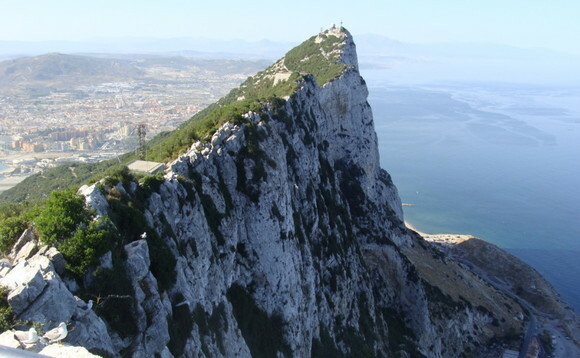 The government says the decision vindicates Gibraltar's view that there is nothing wrong with its 2010 Income Tax Act. The Chief Minister says the Rock has only been required to make minor amendments to the Act, and to place on a more solid legal footing the practice of tax rulings. "It is vitally important to bear in mind that in today's decision, the Commission has accepted Gibraltar's arguments that the tax ruling practice, as a whole, under the ITA 2010 does not constitute state aid," it said. "The Government's approach is fully vindicated in today's decision, which allows us to continue with the practice of tax rulings." "Furthermore, of the 165 tax rulings that the Commission has been investigating it has found errors only in relation to five of them, all of which concern transactions involving Dutch limited partnerships which have also been controversial in other EU jurisdictions." "None of the five in Gibraltar present any serious problems or issues." The five contested tax rulings concern the tax treatment in Gibraltar of certain income generated by Dutch limited partnerships.